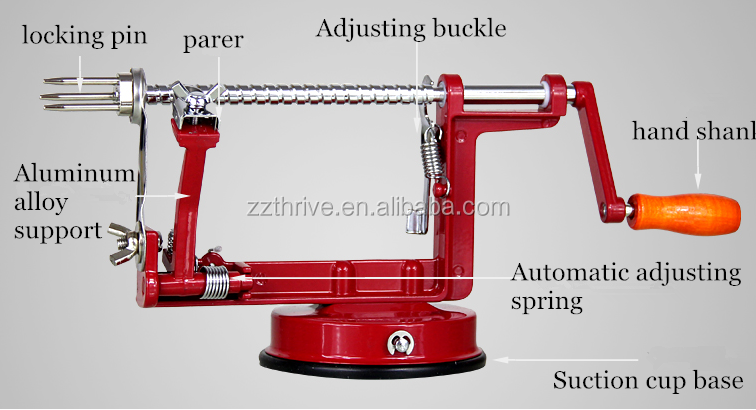 Buy Aluminum alloy hand held apple peeler / manual apple peeler /Manual onion cutting machine - Jinan Joysun Machinery Co., Ltd.
wine red, red, green, silver gray, electroplating polishing upgrade. 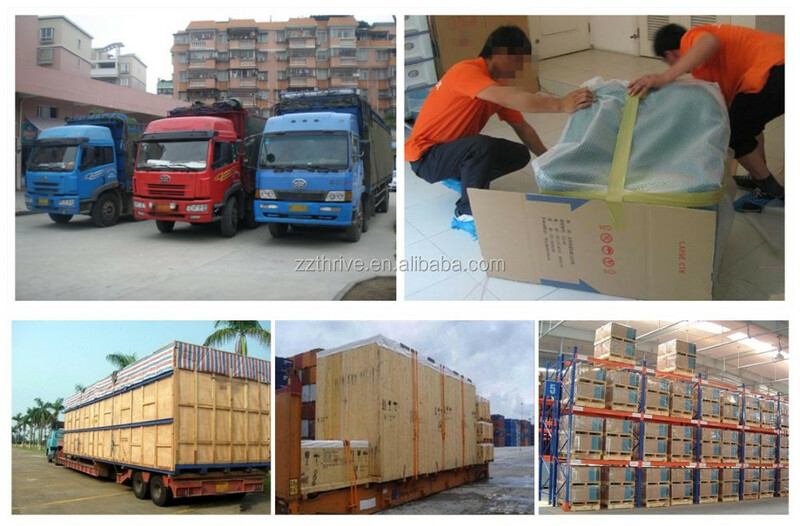 1.Alloy material, environmental protection and health. 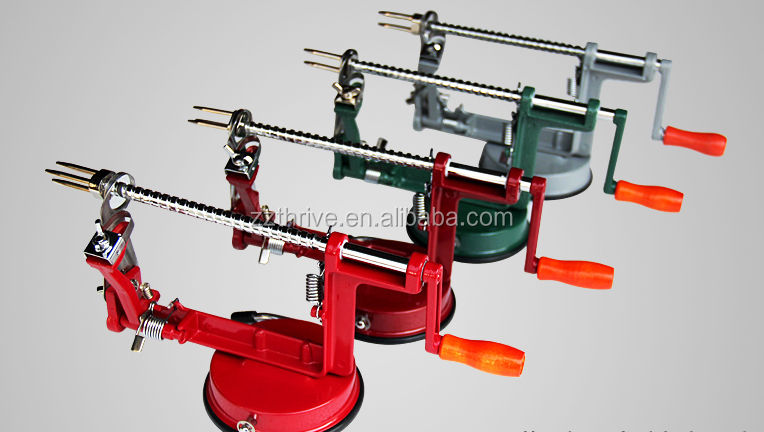 2.Double head design, efficient operation. 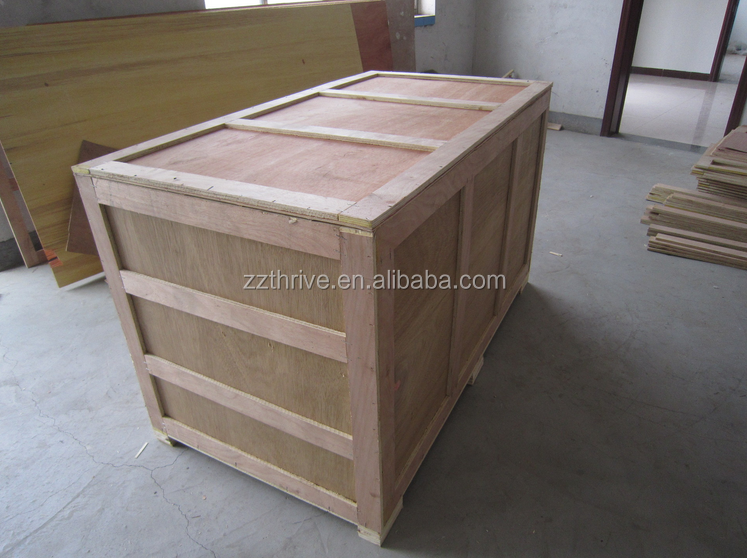 3.The round plug, safety dose not hurt the hand. 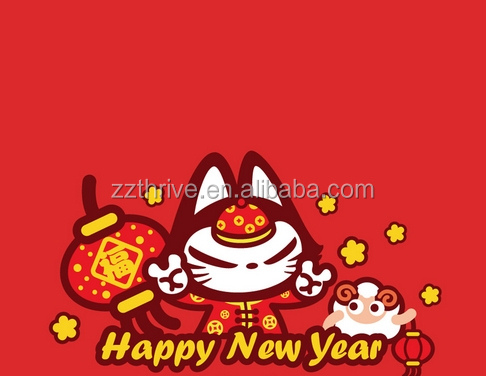 4.At the bottom of suction cups,humanized design. 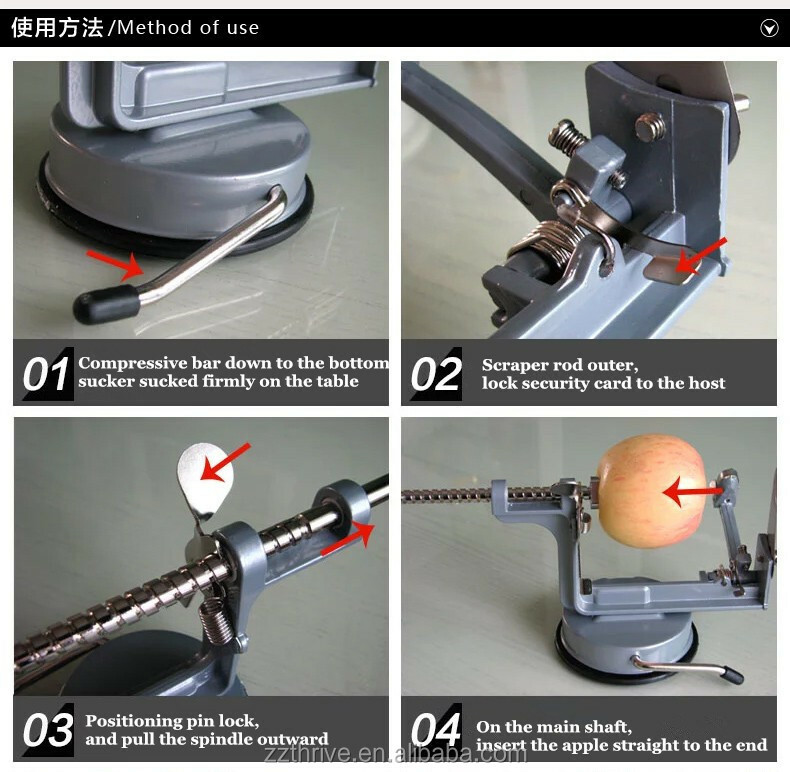 1.We can give you better advice according to your need about Aluminum alloy hand held apple peeler / manual apple peeler /Manual onion cutting machine . 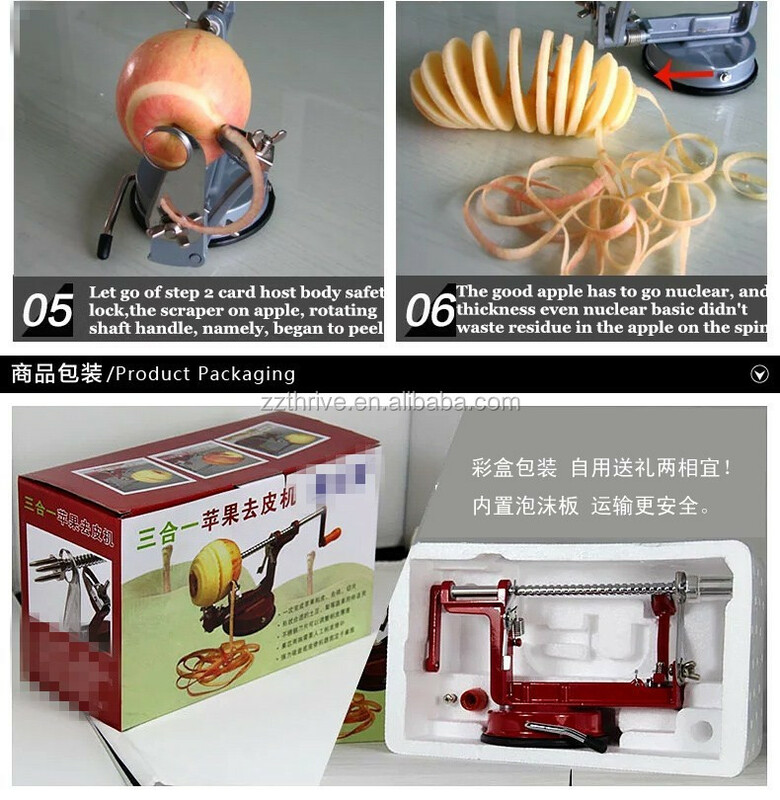 3.Aluminum alloy hand held apple peeler / manual apple peeler /Manual onion cutting machine parts: offer based on their prime cost during one year after one year,we offer Aluminum alloy hand held apple peeler / manual apple peeler /Manual onion cutting machine with factory price.